Vacations are always too short, even if we have the luxury of more than a few weeks a year. So we feel the urge to cram in more sights and activities than is feasible. We spend two days in a city, when two weeks would probably still leave us wanting more. However, there is an alternative. In this excerpt from Lonely Planet's Best in Travel, we show you nine ways to slow it down and still get as much, or even more, out of your trip. One of the most leisurely yet fulfilling adventures you can have is to climb aboard a fully equipped campervan and tootle around the enormous girth of the Australian continent. If you were to hug the coastline as much as possible on your circumnavigation, you would end up tallying more than 14,000km driving beside fantastic beaches, into remote rainforests and through almost all the major cities, setting up your bed and cooking your meals wherever you park. However, the trip simply wouldn’t be complete without also taking a few detours into Australia’s intimidating outback. Obviously, you'll need a long time to do the whole of Australia. If you time is short, pick one state (or territory). The southern coastline of Chile is embellished with a plethora of grand fjords that swallow up travellers and time alike. These glacially eroded inlets provide a deep passage for cruise vessels skirting Patagonia and Tierra del Fuego, granting the curious sightseers on board some memorable close-ups of steep-sided cliffs, encroaching glaciers and pristine channels. Popular cruise departure points in southern Chile include Puerto Montt and Punta Arenas, while highlights include the huge fjord in Parque Nacional Laguna San Rafael and the magnificent Unesco Biosphere Reserve of Parque Nacional Torres del Paine. The narrow, canal-threaded and, in some cases, vehiclefree streets of central Amsterdam are ideal for bicycles, a fact that locals cottoned on to long ago. Bike lanes shadow all the main streets and are usually brimming with Amsterdammers pedalling aimlessly around in the fresh air. So don’t hesitate to join them by taking a relaxed cycle from Vondelpark past all of your favourite museums to your favourite brown café. The Riviera is a gorgeous section of the Côte d’Azur coastline stretching from the town of Toulon in the southwest of France almost all the way to the Italian border. For a luxurious taste of slow travel, jet into the principality of Monaco, hire yourself a moped (think scooter), rev up that powerful 50cc engine, and then meander your way along the coast through glamour-conscious places such as Cannes and Nice, noting how many beautiful people you pass along the way. After you’ve had enough of bodies beautiful, motor west away from the Riviera towards Marseille's rough charm and Nîmes’ Roman amphitheatre. The 53.5km Milford Track on New Zealand’s mountainous South Island is regarded as one of the finest walking trails in the world. It’s a four-day adventure that leads from Lake Te Anau up through rainforest to Mackinnon Pass, where you can make a side-trip to the country’s highest waterfall (Sutherland Falls), and then follows a wilderness river north to the edge of the spectacular fjord called Milford Sound. The number of daily walkers allowed on this magnificent trail is limited from November to April, so book well ahead if you’re visiting the Land of the Rings at this time. What could be more relaxing than having a half-dozen Siberian huskies pull you on a sled along back-country trails through a soft blanket of snow? Nothing, according to the numerous outfits that organise dog sledding excursions in the wilds of British Columbia, although the huskies in question may disagree. Not only do you avoid the whine of a snowmobile or the effort required to point those pesky skis in the right direction, but you also get to learn interesting aspects of this peaceful activity, such as how to mush a team of hardworking canines. Camel jockeys head to the small village of Merzouga in central Morocco for an opportunity to ride one of the ill-tempered beasts of burden into a part of the Sahara that’s drifted over from Algeria. The excursion involves a sure-footed plod across the Erg Chebbi – erg is an Arabic term for one of the massive sand dunes that the Sahara specialises in. Camel rides are normally arranged around dawn and dusk so that you can appreciate the changing colours of this immense sandscape. But you can also take longer treks that include camping in the desert. Also read our article on the 10 best boat journeys. 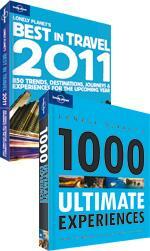 This list came from a previous edition of our adrenaline-inspiring Best in Travel guide.